Getting married on the Eiffel Tower is not allowed, but you can have a reception in the restaurant the is present in the Eiffel Tower. Altitude 95 is the name of the restaurant in Eiffel Tower. The restaurant gets its name from it being 95 meters above sea level. 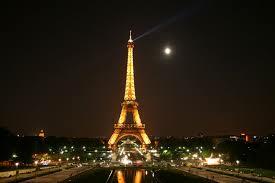 Gustave Eiffel built the Eiffel Tower in iron to demonstrate that iron could be as strong as stone while being lighter. There are about 2.5 million rivets in Eiffel Tower! The elevator in Eiffel Tower travels a total distance of 64,001 miles (103,000 km) a year – which is about 2.5 times the circumference of the entire Earth. A con artist sold the Tower twice to unknowing buyers in 1925.